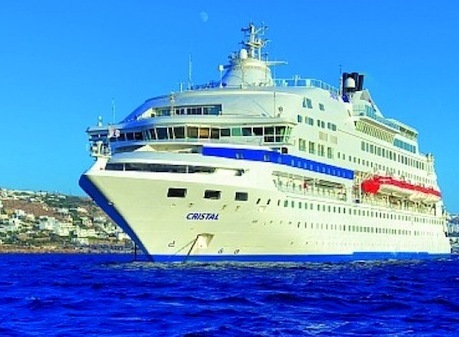 If you are coming to Greece this year and you want to see as much as you can, what better way to see the Greek Islands and the coast of Turkey then to go in style on a cruise ship? But there are some things you should think about. For example do you want to spend all your time on a ship and 5 or 6 hours on an island, or do you want to spend more time on the islands? If you are using a cruise ship as a sort of introduction to Greece for a future trip where you will spend more time on an island or two then I get it. Think of it as getting the appetiser sampler instead of a main meal, so next time you come you will know what you like. If there is a next time. Of course if this is your one and only trip to Greece it would be great if you could do both. Well, actually there is. Fantasy Travel's Smart Seven allows you to spend three nights on Mykonos and three nights on Santorini and in between you are on a Four Day Cruise that includes Turkey, Patmos, Rhodes and Crete. 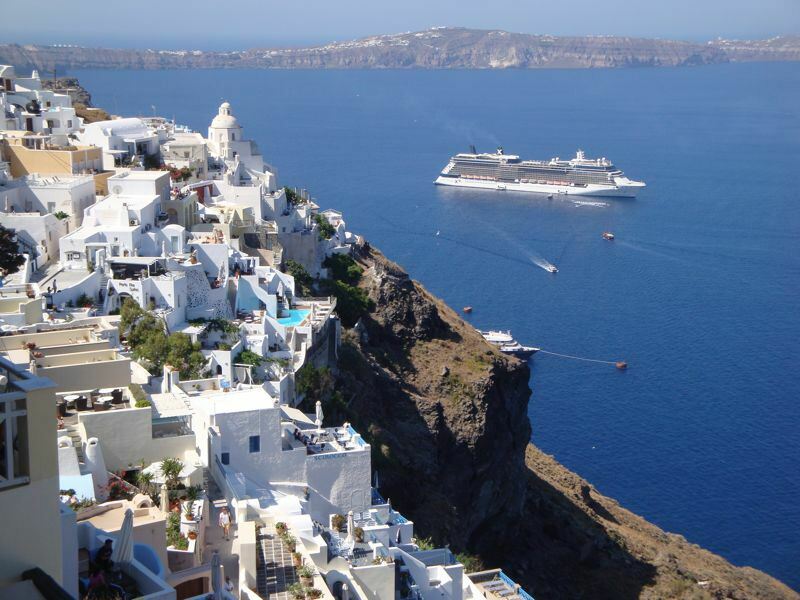 Personally I feel like if you are going to Greece and you want to do a cruise, you want one that begins and ends in Athens, and includes Mykonos, Santorini, Rhodes, Crete, Patmos and at least one stop in Turkey.The 4-Day Iconic Aegean Cruise does that as does the 5-Day Iconic Aegean. For those who want to be on a ship even longer there is the 8-Day Idyllic Aegean Cruise or the 8-Day Eclectic Aegean. For those planning to see the Greek islands on the large international cruise lines there are a few things to keep in mind. These ships were not made for the Greek islands. Thousands of people getting on and off a mega-cruise ship can mean long lines, chaos, endless waits for transportation and long journeys on tender boats because the ships are too big to get close to the ports. 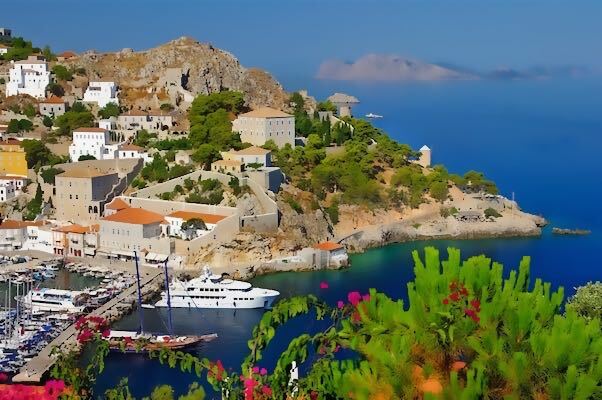 Cruisers who have their heart set on the beautiful island of Rhodes may be surprised to know that their ship is actually docking in Marmaris, Turkey 12 miles away (cheaper docking fees) and they can only get there by paying for one of the ship's excursions. 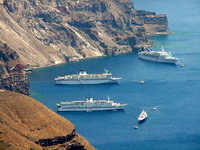 Other holiday-makers dreaming of the white cliff villages of Santorini may discover their cruise does not even go there! Several winters ago I attended the NY Times Travel show and had a conversation with a cruise agent who was complaining about the giant cruise companies jumping into the Greek market. "These ships are on a scale that is totally inappropriate to the Greek islands. They dwarf them. Can you imagine that they are building a cruise ship that will be as big as the empire state building and plan to use it in the Aegean? This is sheer greed. And what will happen to these islands when thousands of people converge on them at once? And the reason they have chosen to extend their seasons from winters in the Caribbean to summers in the Greek islands? They need the money. If it were otherwise they would have built ships that were suited to the Aegean Sea with its small harbors and quaint towns. Smaller ships." For this reason I recommend the Greek Cruise companies. There are those who will complain because the smaller ships don't live up to their idea of what a cruise should be: life on a floating mall where your every desire is pampered to, even desires you didn't know you had. But the Greek cruise companies know the territory, the boats are not small but not so big that getting on and off them is a problem. You may not be able to hit golf balls off the upper deck into the beautiful blue Aegean but there is plenty to do on board and the Greek ships do most of their traveling while you are asleep. 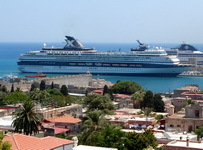 The Greek ships generally carry around 800 passengers compared to the big cruise ships which carry several thousand. If your purpose is to sit back like a pasha and use the Greek islands as a background for all the exciting activities offered on the ship then maybe the big international cruise lines are for you. But if your purpose is to see as many Greek islands, and as much of Turkey and Athens as you can in a short period of time then the Greek cruises are the way to go. If this is your once in a lifetime trip to Greece and the cruise does not include Santorini and Rhodes, find another cruise company. Comparing the Greek cruise ships to the mega cruises is like comparing watermelons and raisins. But raisins are fine if you are not expecting watermelons. 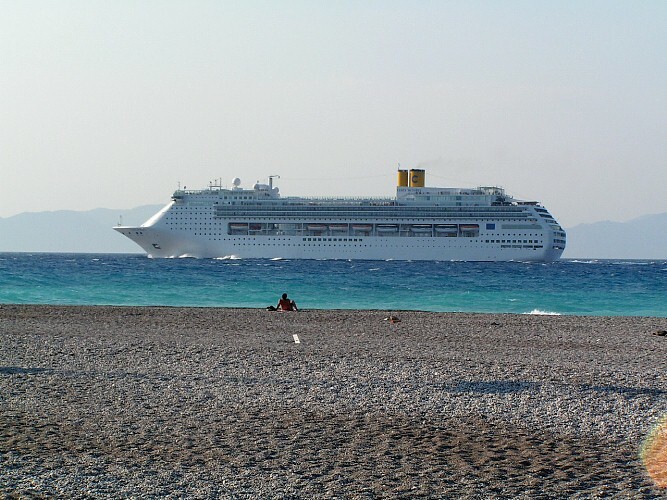 The Greek cruises are what they are, a cheap efficient way to see the Greek islands in a short period of time. Think of the boats as floating hotels, maybe not super luxury class but maybe A-minus or B-plus. If you read the comments on Cruise Critic they are from people who cruise for a living and care more about the boats and the service than the places they are visiting. 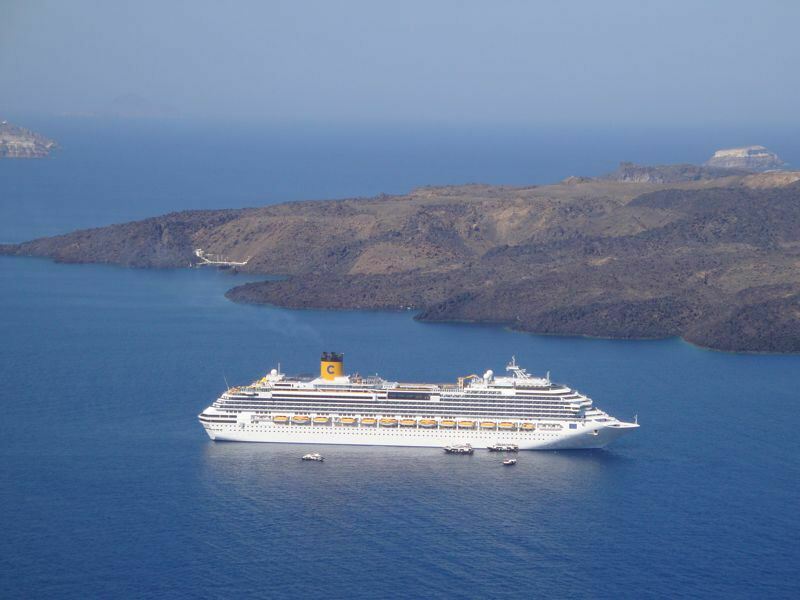 By booking through a reliable Greek travel agency you can get discounted rates for cruises in the Greek islands and you will also have a coach who will tell you which cruise is best for you and why. What about the smaller boats that do Greek Island Cruises? In my opinion this is a great way to go. Yes it is a cruise except there are only from 5 to 25 cabins meaning there are only 10 to 40 people on your boat instead of hundreds or thousands. They are mostly old style wooden sailboats though they mostly travel using the engines. And unlike a cruise where you wait in line to get on and off the ships and sometimes have to use smaller boats to get to shore because they are too big for the harbor, these boats pull up to the dock and you get on and off as you like. They also stop in quiet coves and beaches for swimming, fishing and lunch. The famous Captain Alexander Matsakis does cruises of the Cyclades, Sporades and the Ionian Islands and is something of a legend. Besides his weekly scheduled cruises his boats can be chartered as well. 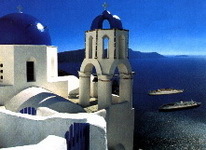 See Greece Sail Cruises and Charters. Another option is the Jewels of the Cyclades Cruise on the motor-yacht Gallileo which has 25 cabins or the Classical Greece Cruise on the 21 cabin mega-yacht Harmony. This video was made by filmaker Andy Emery during his honeymoon in the fall of 2009. It gives you a pretty good idea of what a cruise of the Greek Islands and Turkey is like. 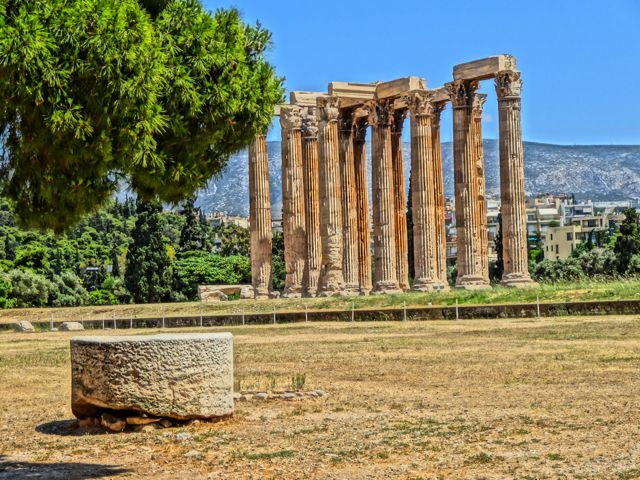 You can get discounted rates for cruises by going to Fantasy Travel's Cruise for inexpensive packages that includes a 4 day cruise, 3 nights in Athens and Delphi. Variety Cruises: Special offers on small ship cruises by Variety Cruise 10% discount for select departures in the year 2019. This offer is available for a limited number of cabins and are the next best thing to having your own private yacht. Celestyal Cruises: Early bird Celestyal Cruises offers for all sailings of Celestyal Cruises in the year 2018 season and for reservations completed by March 31, 2019 a 10% discount. The One-Day Saronic Gulf Cruise goes all year long and is a great introduction to the islands of Aegina, Poros and Hydra. This is one of the best day trips in Greece and is great in combination with a couple days on the islands. This is a great introduction to the Greek islands and includes lunch, and pick-up from various hotels in Athens and they take you back to the hotel after the cruise. At a cost of about 100 euros this is a wonderful way to spend the day. Fantasy Travel also offers One-day Yacht and Sailboat Charters to the Saronic Gulf Islands which are like mini-cruises. For Yacht and Sailboat Charters see www.greecetravel.com/sailing where you will find information on chartering boats with or without a skipper as well as cruises on sailing ships with twenty or thirty cabins that go on weekly itineraries to the islands, (like the cruise ships but smaller). You don't have to book the whole boat. You just book by the person. Santorini Sailing: Several companies do charters around the island catamarans which includes gourmet meals, swimming in isolated coves, and a spectacular view of the island. You can take half-day, full day and overnight trips. For those who are visiting Mykonos try the 1 Day Yachting Cruise from Mykonos to Rinia & Delos offered by Fantasy Travel. Rinia is a small island accessable only by sailboat or motoryacht. Many cruise companies discourage the use of taxi and limo companies for private tours in destinations like Rhodes, Athens, Crete, Santorini and places in Turkey. Whether this is to 'protect' the passenger or because the cruise ships themselves offer tours I don't know (actually I do know and you can probably figure out why I can't tell you). I do know that you can get excellent service from taxi companies which offer personalized tours, many of whom charge by the trip and not by the person. These tours are like having a local host show you around the islands, towns and cities that they know. Instead of eating in some giant tourist trap that accommodates the dozens of people who take the bus tours, you can go to small tavernas where the locals eat, on quietstreets or on the sea. On the island of Rhodes Nick Axarlis and his brother Mike, two Greeks from Alexandria, speak 6 languages (English, Greek, Arabic, French, Italian, Spanish and German) and showed me places on the island that I would never have found on my own. Their company is called Private Tours and they do tours and transfers. Both are friendly, smart and funny and they have great taste in food. I spent much of my time with them and am ready to go back again. On the island of Crete there is Lefteris Nikoforakis, who I spent a wonderful time with in Heraklion and is recommended by George the Famous Taxi Driver. Lefteris packs a lot into a day in his tours of Crete. Obviously as with the other drivers you can see a lot more when you don't have a large group slowing you down. If you are on one of the giant cruise ships and wondering why a town you have never heard of called Katakolon is on your itinerary along with all those famous places read my Katakolon Page. But to make it easy for you, the reason you are stopping there is because it is the closest port to Ancient Olympia. There is a new bus that leaves from Akti Xaveriou which is the main road that is in front of the cruise terminal. The X80 connects Pireaus with the Acropolis and Syntagma Square and it is an express route which means it should get you there and back pretty quickly. 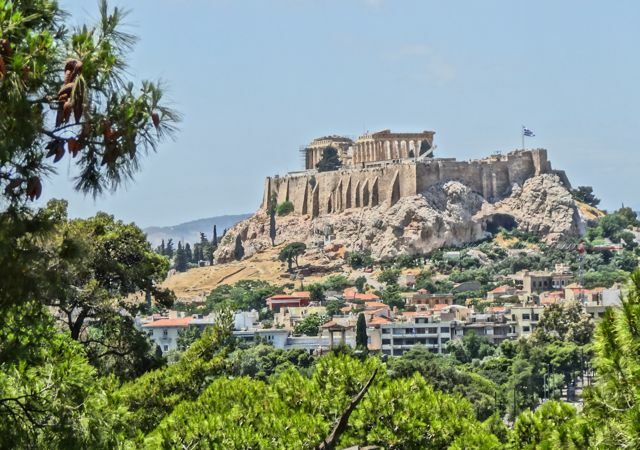 It includes stops at some of the most important sites including The Acropolis Museum (a short walk to the Acropolis), the Archaeological Museum of Pireaus, the Planetarium and the National Museum of Contemporary Art. It ends in Syntagma Square and takes about 30 minutes to get there from the cruise terminal. From the Acropolis you will see the Acropolis Museum below and you just walk down to the wide pedestrian avenue called Dionysiou Areopagitou south of the Acropolis and walk to your left till you get to it. After the museum you can walk a half a block and take a left on Vironos Street which will take you into the Plaka and eventually to Monastiraki if you follow Adrianou Street and from there you can take the metro back to the ship. If you want to go to the Olympic Stadium and the Temple of Olympian Zeus you don't go left on Vironos, and instead continue on Dionysiou Areopagitou til you get to the big street which is Amalias Avenue and you will cross over and walk to your left to Hadrian's Arch and walk past it to Vassilissis Olgas Street which will take you past the entrance to the temple and all the way tothe marble Olympic Stadium. You can go back past the Zappion building or follow the signs through the National Gardens and that will bring you back to Amalias Avenue. You can either cross and follow the tourists who know where they are going into the Plaka, or you can go left and see the Parliament Building and Syntagma Square and the evzones (if there is not a demonstration going on), and from there walk down Ermou, the pedestrian shopping street which will take you right to Monastiraki Square where you can take the metro back to Pireaus after you wander around and check out the shops and the cafes and restaurants which border the ancient Agora. By the way your ticket to the Acropolis is good for all this stuff. Give yourself at least an hour and a half to get back to the ship. Not that it takes that long but if you go in the wrong direction and then get back to Pireaus and don't see the shuttle you may have a heart attack running to the cruise terminal. Remember that wherever you are in Athens you just have to find the metro and get on the right train to Pireaus. And you should make sure you have a map of Athens before wandering off on your own. For those of you who have already seen the sites of Athens and want to go somewhere within range of the ship make your way to O'Connell's Pub, an Irish flavored and Irish owned pub with a nice selection of beers (and a larger selection of whiskeys) and good food too. It is across from the cruise ship terminal at Akti Miaouli 79. Most people doing cruises will need a hotel in Athens for at least one night. If you have booked a cruise with one of the Greek travel agents then this is probably taken care of. if not you can find a list of suggested hotels and reviews on my Athens Hotels Page. You can also use my Athens Hotel Search and my Athens Apartment Page. 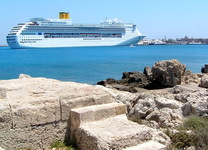 If you would prefer to stay in Pireaus close to the ship see my Recommended Pireaus Hotels Page. Do you enjoy using my site? Have you found it entertaining as well as useful? If so please show your appreciation by booking hotels through the travel agencies and the links found on my Athens Travel Agents page. The small comission I make on the bookings enable me to keep working and in most cases you won't find them any cheaper by searching elsewhere. 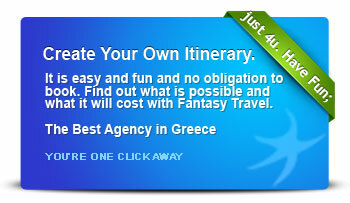 You can also book at Booking.com's Greece Page and they give me a small percentage on each booking.